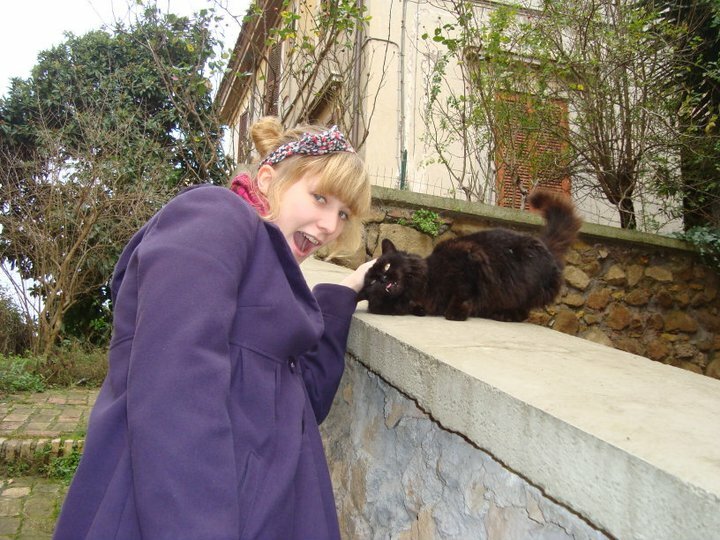 This photo was taken in Rome in January 2011 outside our hotel! 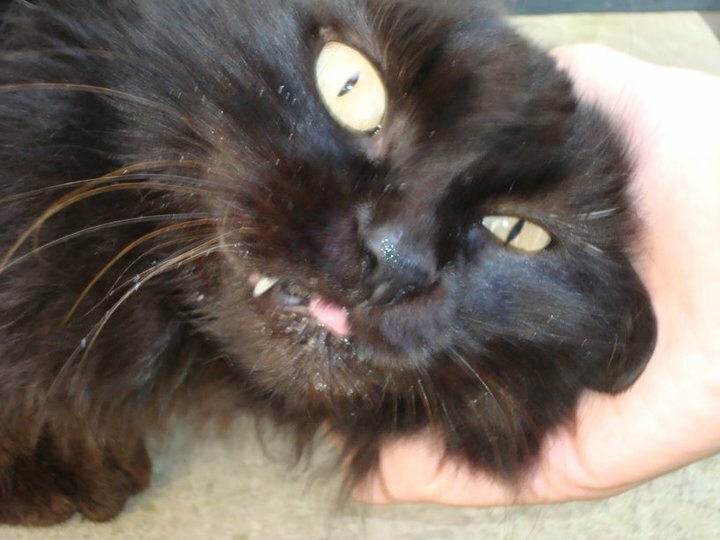 We adopted a local cat who we named Fang because his front teeth protruded from his mouth like a vampire. Every day we’d see him hanging around by the house next door. We asked the hotel staff who he belonged to and they said he belonged to no-one in particular, but that the old lady next door kept him fed and watered. On the last day we had our suitcases in tow, and shouted out for Fang. After a good 10 minutes he didn’t come – we thought we’d never see him again! Suddenly, a little head popped up. It was Fang! He ran towards us. It was honestly like a scene from Baywatch. We snuggled him and said goodbye before we left for the airport. 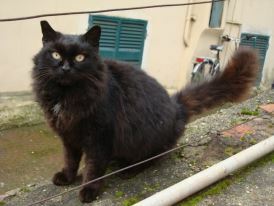 Although my experience of Rome wasn’t the best, meeting Fang was certainly one of the most enjoyable parts of the trip. It just goes to show that you don’t have to just rely on people to make a travel opportunity worthwhile! Have you met any lovely animals on your travels?